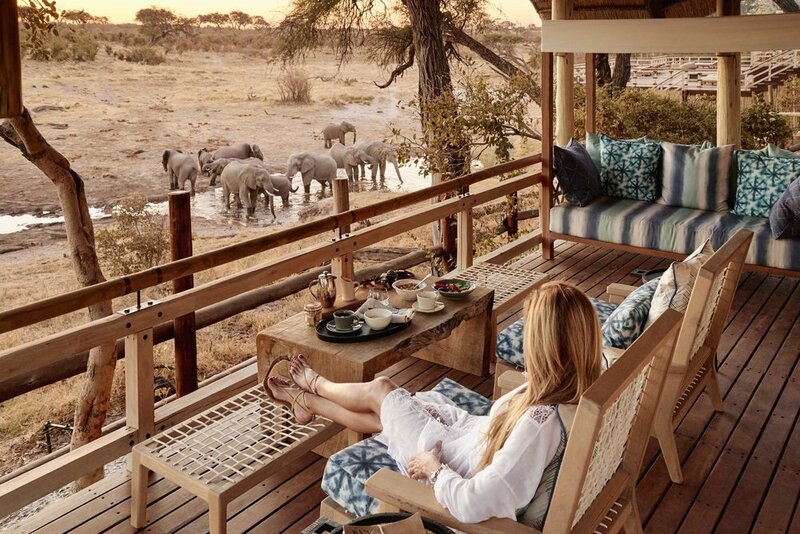 PORTER escapes to Belmond Savute Elephant Lodge, an adventurous tented hideaway in Botswana’s Savute Channel, part of Chobe National Park and boasting the highest concentration of elephants in Africa. Since September 2018, controversy has swirled in Botswana around the story that 87 elephants were reported to be “killed by poachers’ in Botswana. The high-impact story originated with “Elephants Without Borders,” an NGO in the USA and Botswana surveying the elephant population. Under the new government of Mokgweetsi Masisi, Botswana’s parliament is exploring its ban on trophy hunting, citing the large size of Botswana’s elephant population and the growing issue of human-elephant conflic (HEC) in the country. Politicians have quoted the Botswana elephant population to be as large as 237,000. However the African Elephant Status Report (AESR) estimates Botswana’s elephant population to be 131,626 individuals migrating across an area of 228,073 square kilometres. The vast majority of these elephants occur in the northern region that includes Chobe, Moremi, and the Okavango Delta.